Located in the heart of Sussex, we specialise in stress free house and office moves. With over 25 years experience in the business, you can be assured you are looked after, we aim to provide a great value service with flexibility and a personal service at affordable prices leaving you with a great experience. 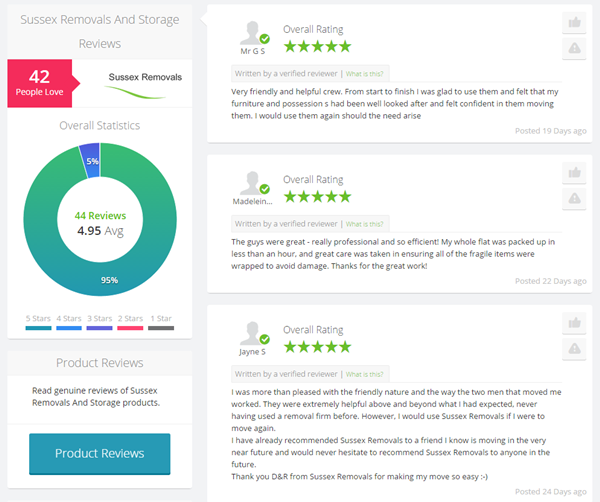 Our team are fully experienced in all aspects of removals and provide a friendly and can do attitude throughout the moving process. 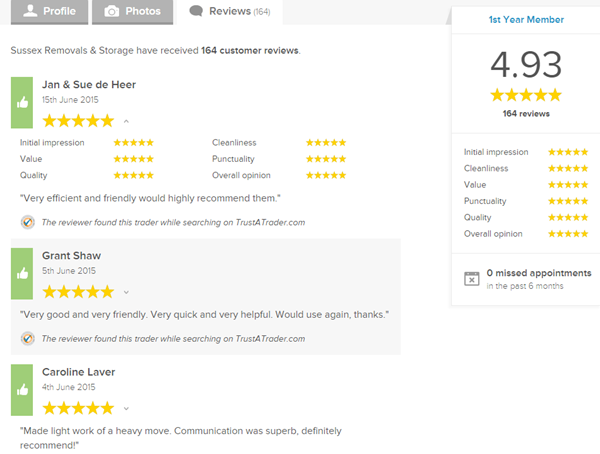 Just take a look at what our customers are saying, all our feedback is verified! Find out what everyone is talking about and come to us to discuss your forthcoming move. !